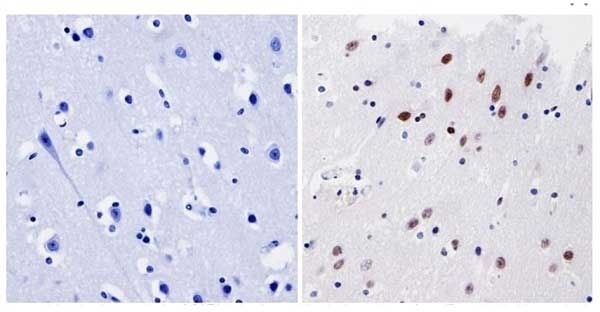 Rabbit anti GATA1 antibody recognizes GATA1, also known as GATA binding factor 1. The protein is a member of the GATA family of transcription factors, which has received its name from binding DNA containing the GATA consensus motif 5'-[AT]GATA[AG]-3' (uniprot P15976). 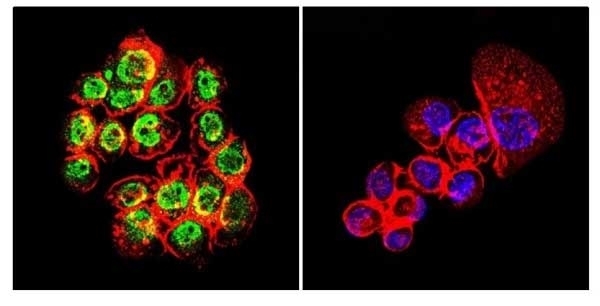 GATA1 acts as an erythroid transcription factor by regulating erythroid-specific genes. 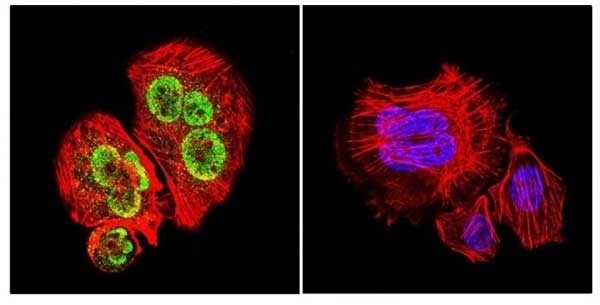 In addition to that, GATA1 has also been implied to play a role in regulating differentiation of other hematopoietic lineages (including mast cells and megakaryocytes) and endothelial cells (Orkin 1992). 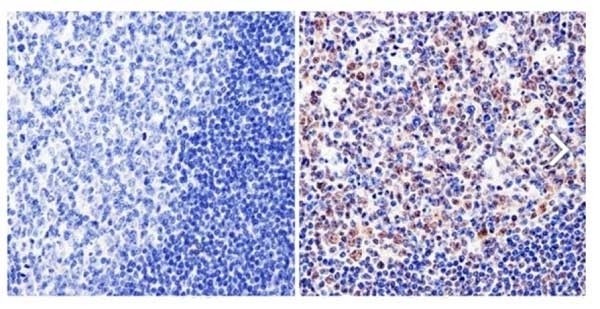 GATA1 alterations have been implicated in a variety of diseases, including acute megakaryoblastic leukemia (AMKL) associated with Trisomy 21 and thrombocytopenia (Ciovacco et al. 2008). Antiserum to GATA1 was raised by repeated immunization of rabbits with highly purified antigen. Purified IgG was prepared from whole serum by affinity chromatography on Protein A. 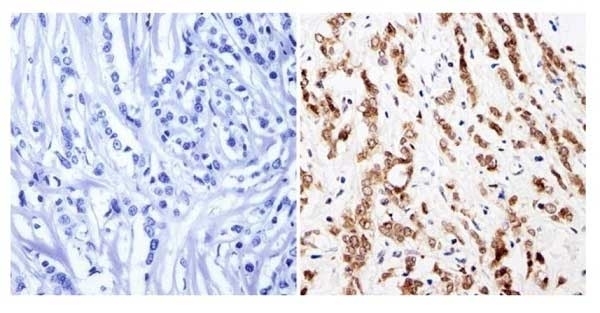 1This antibody requires heat-mediated antigen retrieval prior to staining. Bio-Rad recommend citrate buffer pH 6.0 for this purpose. 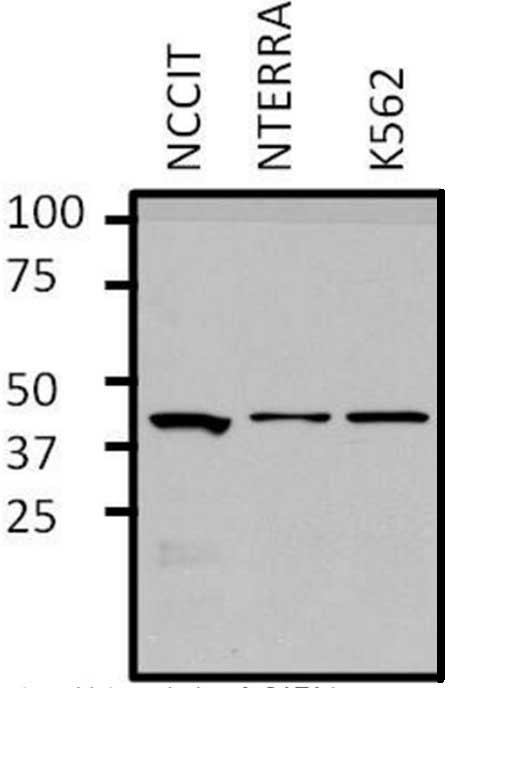 Rabbit anti GATA1 antibody recognizes a band of approximately 43 kDa in NCCT cell lysate, NTERRA cell lysate and K562 cell lysate.